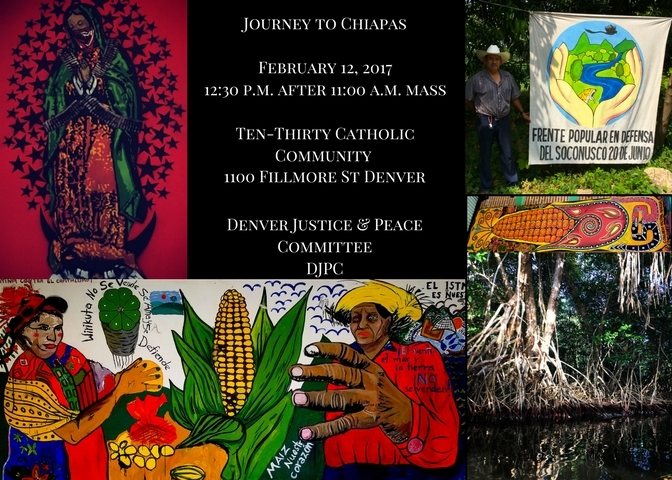 Jim Chaney, DJPC member of the year 1986 and University of Denver Students Victoria Watson-Nava and Amy Czulada will share their experiences during our Delegation to Chiapas. Social Systems at Risk: Victoria Watson-Nava is a graduate student at the University of Denver studying International and Intercultural Communication. She is a board member and the director of student affairs for the Association of Latino Professionals for America. Victoria is a member and organizer for the American Association of University Women and the Philanthropic Education Organization’s 2016 scholar of the year. She is an advocate and activist for social justice and works with several organizations that focus on women’s rights and immigration reform legislation. She has a passion for helping others and making a difference in the world. Environmental & Health Justice: Amy Czulada is a current International Studies master’s student at the University of Denver, focusing on the intersection of migration and human rights. 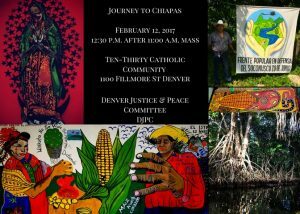 She is involved with the community responding to the issue of wage theft in Denver–working both on the Just Wages Project at the University of Denver and the Wage Theft Direct Action Team at Centro Humanitario. She is very interested in continuing to work with immigrant and refugee communities after graduation in June. Liberation Theology? Jim Chaney is an active member of the 1030 Community since 1984. He is a proud father and and grandfather. He has a keen interest in theology, Jungian psychology and meditation. 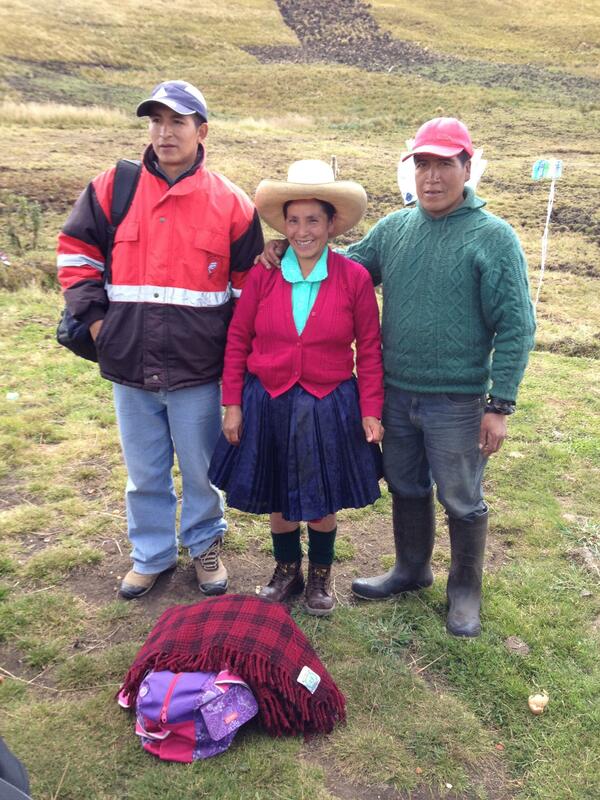 He serves and works for social and environmental justice locally and abroad. Since retiring in 2013 he served in Kenya with SCOPE, Intl consulting on rainwater harvesting, rammed-earth brick building, composting latrines and hands free hand washing stations using solely local materials. He is a member of DJPC since 1983 and has served on the Board. Jim earned a BS in Industrial Engineering from Purdue Univ and a BA in Speech & Theater from Metro State. 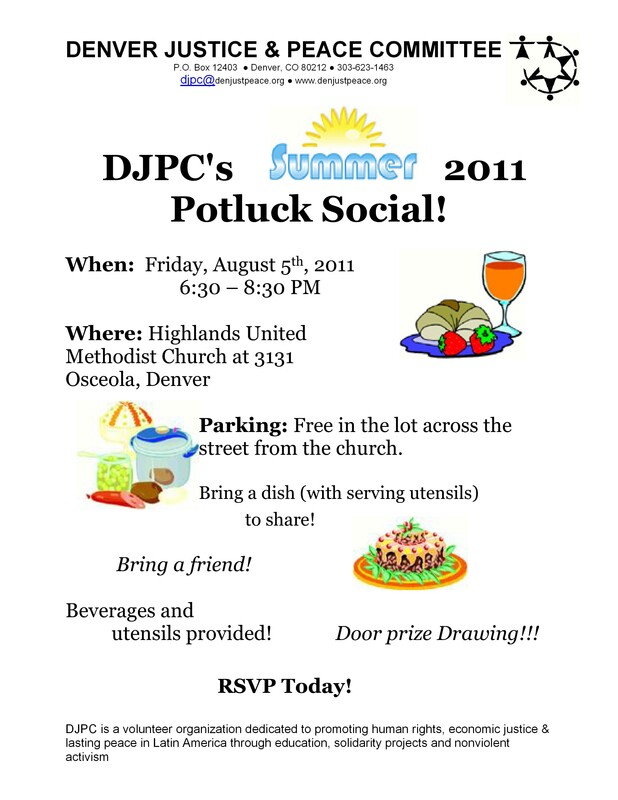 This Friday DJPC’s Summer Potluck! I was disappointment to have missed today’s events. Any chance I can see an upcoming events calendar if there is one? Are there meetings that I can attend to familiarize myself with the work that your organization does? I would love to explore possible ways that I can be of help or service.